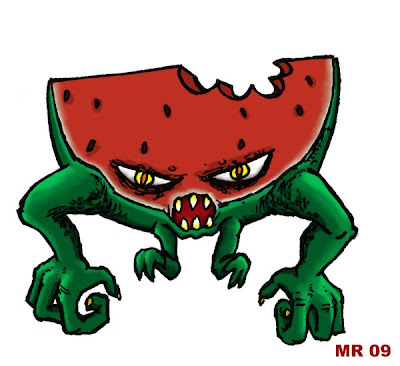 Clovermelon is destroying the city, but he doesn't mean to. He's lost, and scared, and is merely lashing out in fear. Too bad for the rest of us. Someone has already asked me who it was that took a bite out of him. I do not know.